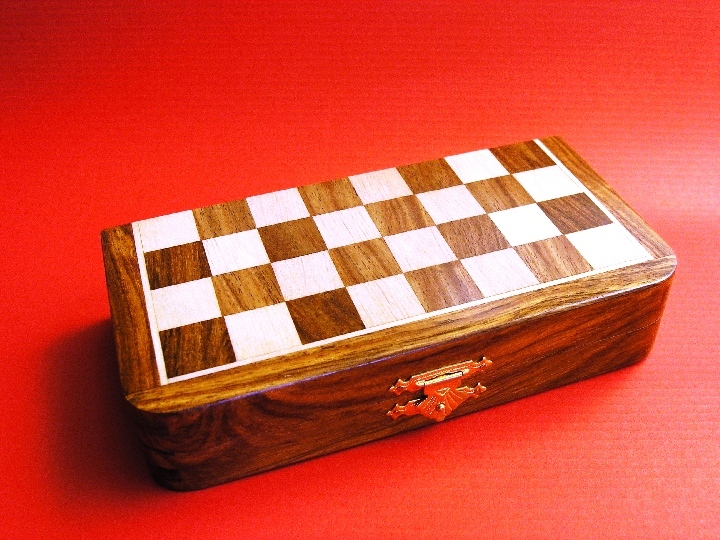 This product from Chess Baron: Now made in rosewood and ebony with a whitewood finish - this is the larger version of the gloss magnetic travel chess sets. 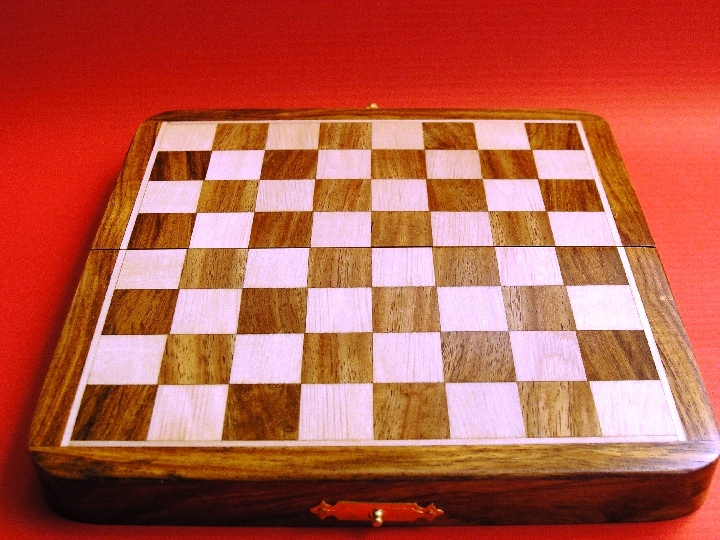 We absolutely love this range and recognise the immensely high quality of the pieces and case comprising the board. 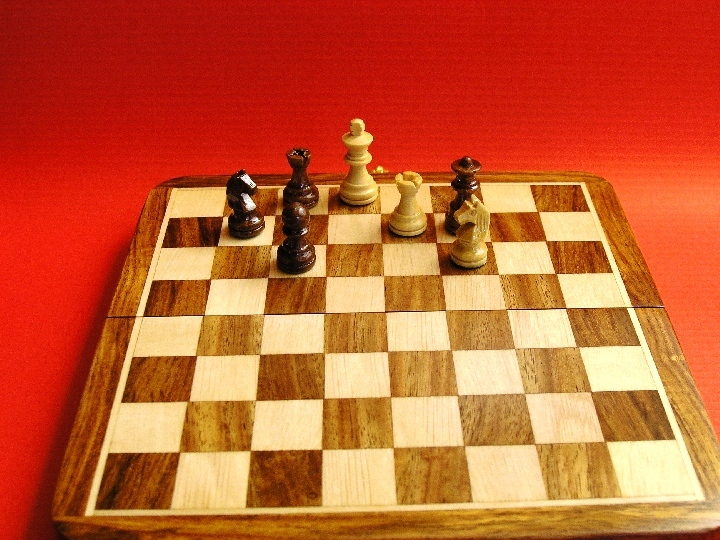 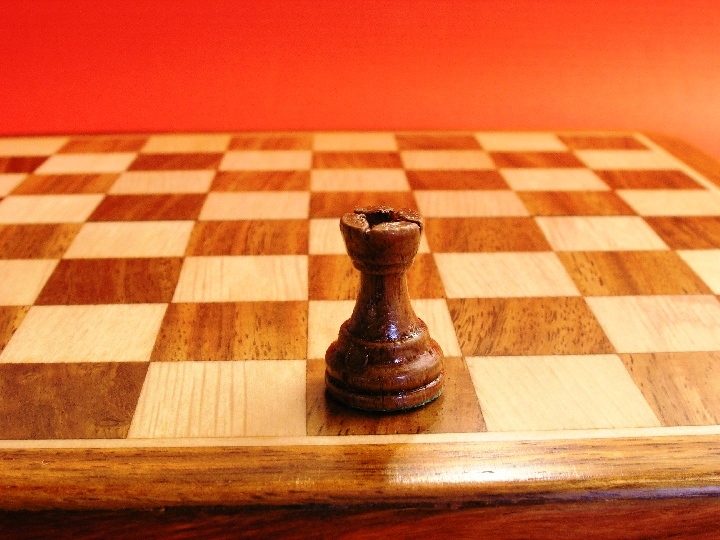 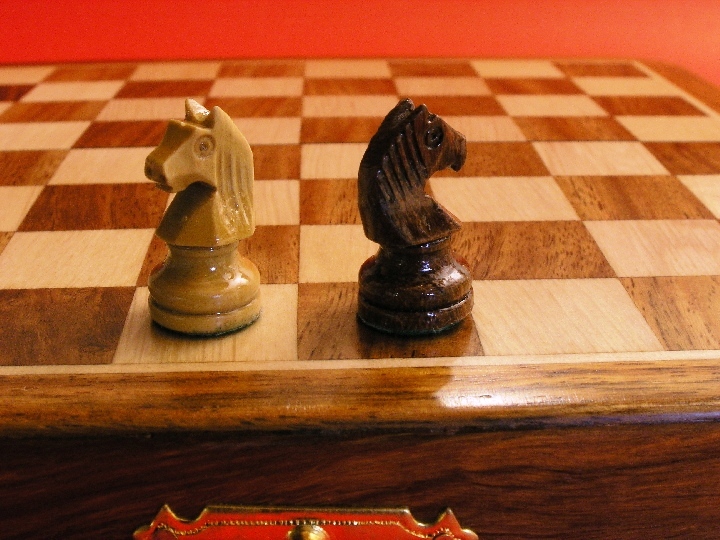 The gloss on the magnetic chess set board is superb, and the pieces stay in place when the board is turned upside down and when knocked or jostled. 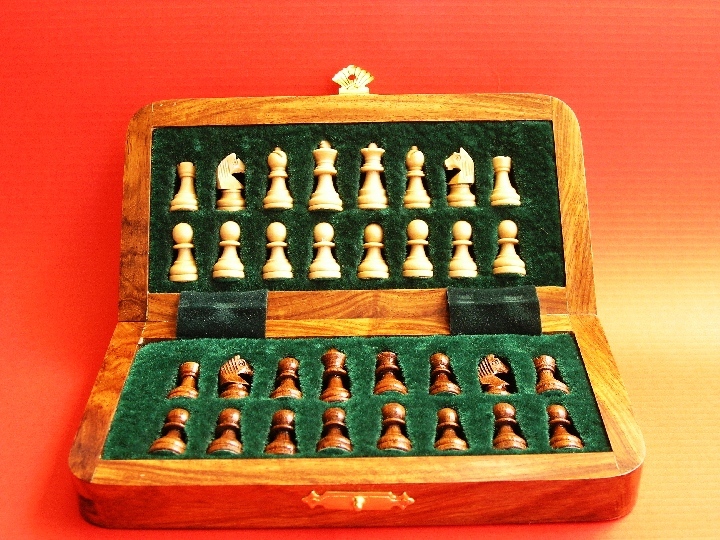 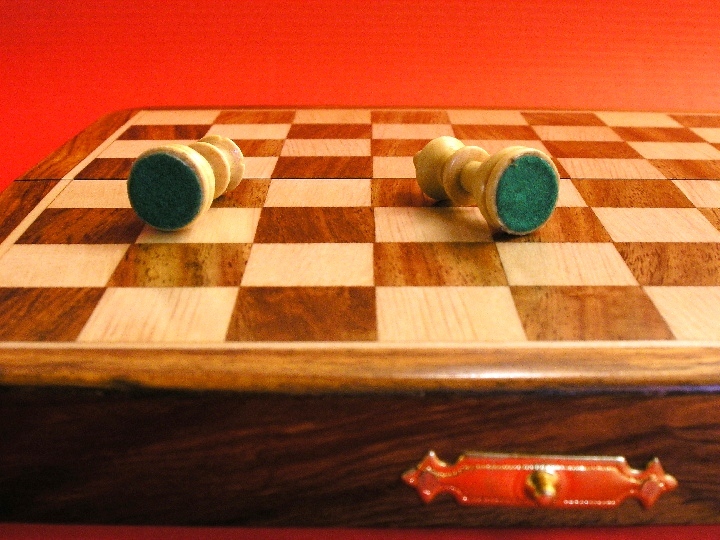 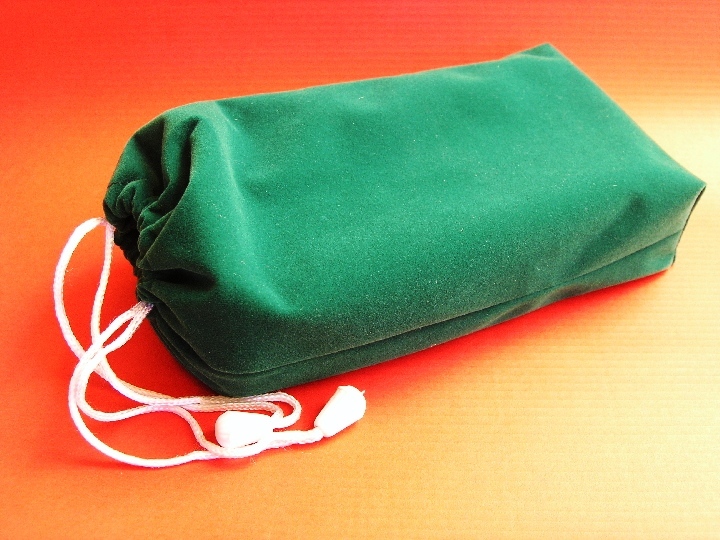 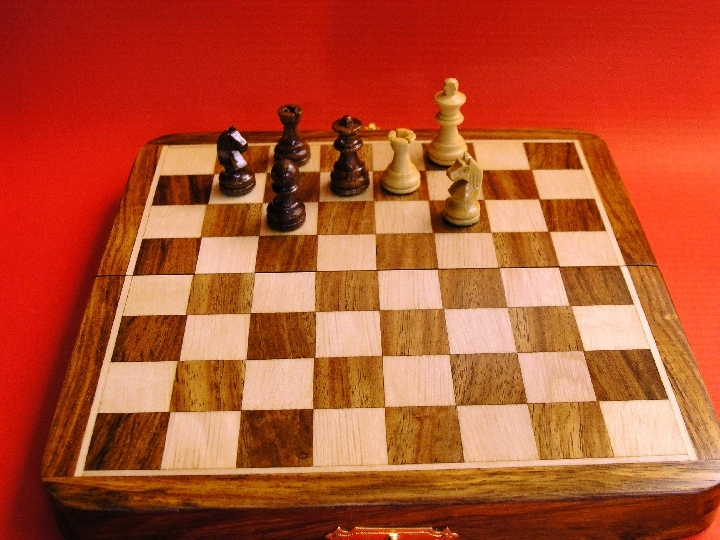 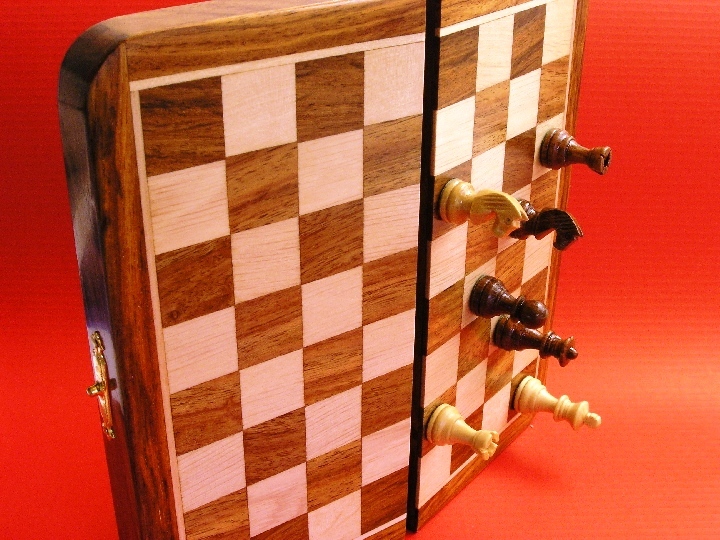 It's a magnetic chess set that sets the standard for travel chess sets.